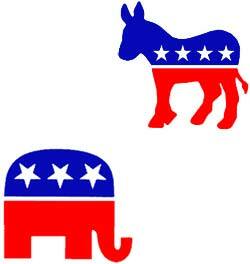 What are Republicans and Democrats Forgetting in 2012? This entry was posted in Editorials, International Business, Trade & Policies and tagged 2012, business, democrat, economy, exports, G.O.P debates, global, government, international, Obama, presidential debate, presidential election, republican, trade, u.s., United States, usa by Michael Czinkota. Bookmark the permalink. Love the site– very user-friendly and lots to consider! michaelczinkota.com does it yet again! Quite a informative site and a well-written post. Nice work! 10/9/2016 I’m gratified with the way that michaelczinkota.com handles this sort of subject. Usually on point, sometimes contentious, without fail well-written and stimulating. 10/5/2016 michaelczinkota.com does it yet again! Very informative site and a well-written post. Keep up the good work! 10/4/2016 @ 13:53:00 says well done michaelczinkota.com!